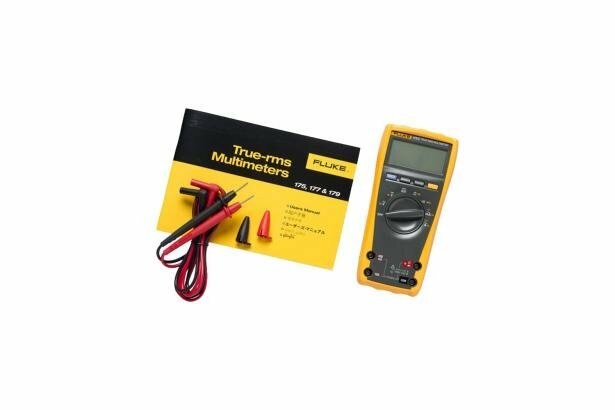 Fluke 177 True-RMS Digital Multimeter is rated 4.8 out of 5 by 9. Rated 3 out of 5 by cbarnes from A good meter I've used this everyday for 1-1/2 years and it definitely gets the job done for commercial electrical / fire alarm installations. I got it calibrated at 12 months to keep it accurate. The only features I wish it would have are 10,000 counts instead of 6,000 counts, Low-Z (stray voltage adaptor is a hassle), especially since more electronics are being incorporated into the industry.Other than my wants it's a very reliable meter to use and have. Rated 5 out of 5 by TrashBurner from Portable and Functional I purchased 2 Fluke 177's for our shop at work. They are light weight, portable, and accurate. They are rugged enough to stand up to the demands of our heavy industrial facility. It is nice to see a high quality product with a quality warranty still available in a world of disposable tools. Rated 5 out of 5 by mezzer26 from Engineer's Dream I bought the 177 about 1.5 years ago at the beginning of my sophomore year in an electrical engineering program, let me tell you, this thing has never missed a beat and is always on the money. I would absolutely recommend this to anyone looking for a quality meter. The only thing I would change is to add a temperature setting but that is addressed in the 179, it wasn’t a feature I thought I needed but I would definitely get it now given my previous projects. Overall, great meter, you won’t regret buying, but I would pick up the 179 for some added functionality. Rated 5 out of 5 by Quang from Does the Job! 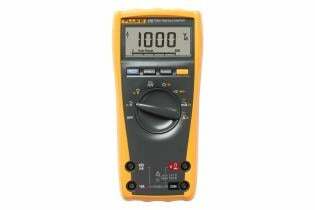 This multimeter is robust and does the job! Its ease of use and big display make it a breeze to use. We have about 6 of these at our facility. Hasn't died on us yet. 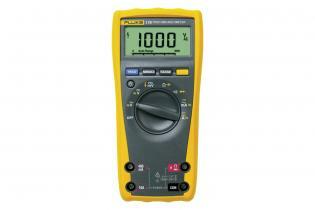 Rated 5 out of 5 by Marek70 from Great multimeter! 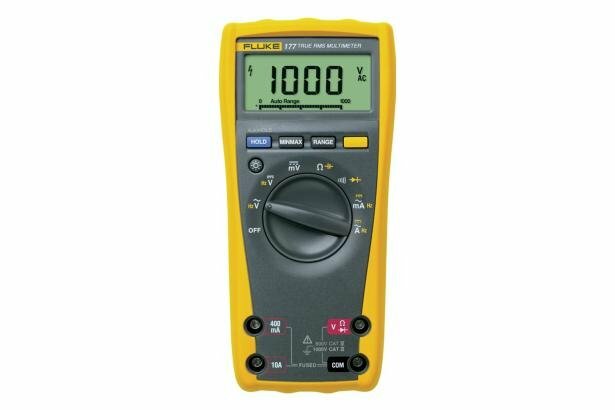 Fluke 117 is a very precise and reliable multimeter. Back-lit large display is easy to read even in dark test areas and the analog bar graph adds accuracy when monitoring measurement changes. 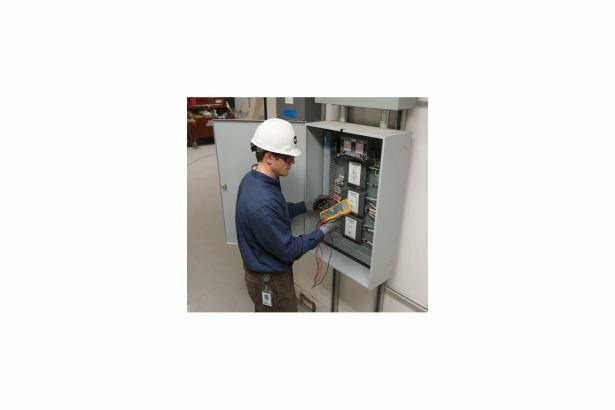 VoltAlert - a non-contact voltage detection feature is very helpful. Ergonomic design allows for one handed operation. A must have for every electrician or home owner. Also, great for school labs. Rated 5 out of 5 by Barney from My Go To meter! I purchased this meter several months ago and it's great. I really like the capabilities of the instrument especially with the size, weight and feel in your hand. I also have a Fluke 87V Electricians Kit for additional capabilities or when a second is meter needed. But the 177 goes with me into a site and is the first reached for everyday use around my shop. I've been using Fluke instruments since first working in a laboratory 1975. I also have an(cient) old Fluke 8012A Lo Ohm capable DMM on the bench in my garage at home. About 40 years old and the battery is long gone but still working on AC for quick bench measurements.